Sometimes I spend a lot of time by myself running my business. It’s not like other businesses that have 10 or 10,000 employees; it’s just me. I email, edit, market, and do everything by myself. This isn’t really a horrible thing, but I do really enjoy working with other wedding vendors on the big day. I get to work with the wedding coordinator, DJ, and venue to make sure things go smoothly. I get to see the beautiful cake and flowers that the florist and baker made. It really all is a collaboration to make a wedding work. A few Sundays ago, I was lucky to get to be part of the Open House at The Barn at the Springs. It was a fun event where five vendors (photographer, florist, venue, caterer, and bartender) got to create a mini wedding experience for about 70 brides. The venue was decorated by Bloom flowers. There were two ceremony sites set up plus several tables for a reception. 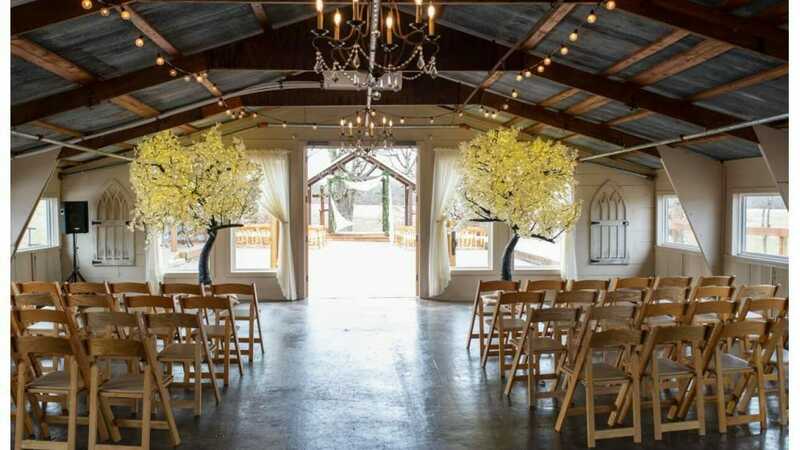 This gave the brides a chance to see what the Barn at the Springs would look like and also just get some general idea for flower arrangements. The Event Group brought snacks for people. I didn’t get to really see the food or try it, but what I did see was the service. The Event Group does more than just prepare food; they provide service. They bring people to take care of things and make the day go by smoother. Koon’s Saloon Mobile Bar Service was set up next to me, and they were keeping everyone happy and refreshed. They brought an assortment of beer and whine, and they were also making a signature drink. A lot of the times, couples will just hire a random person to be their bartender. With Koon’s Saloon Mobile Bar Service, you get the delicious drinks, but he also has a really fun, outgoing personality to go with it. For my area, I had a few albums out and was showing off some of our wedding videos. I was also trying to take photos of couples and print them off. Looking back at it, I think I was trying to do too much. I should have just focused on talking to people and giving them advice. Still, I had a great time! This was my first ever open house to be part of. I’m so glad The Barn at the Springs asked me to be part of it. I love their venue and above everything else, they are super kind people. If you’re looking for any of your wedding vendors still, please check out the wonderful ones above.